The UC Davis Recreation Pool Renovation project provides a refreshing, contemporary new face to a facility that has long been a favorite destination for both the UC Davis students and the citizens of Davis. Along with the proposed new pools, landscapes and site amenities are the renovations of the 3,300 sf Bath House, 1,300 sf Filter Building and shade trellis. The user experience will undergo a major upgrade while keeping a familiar sense of gathering place. 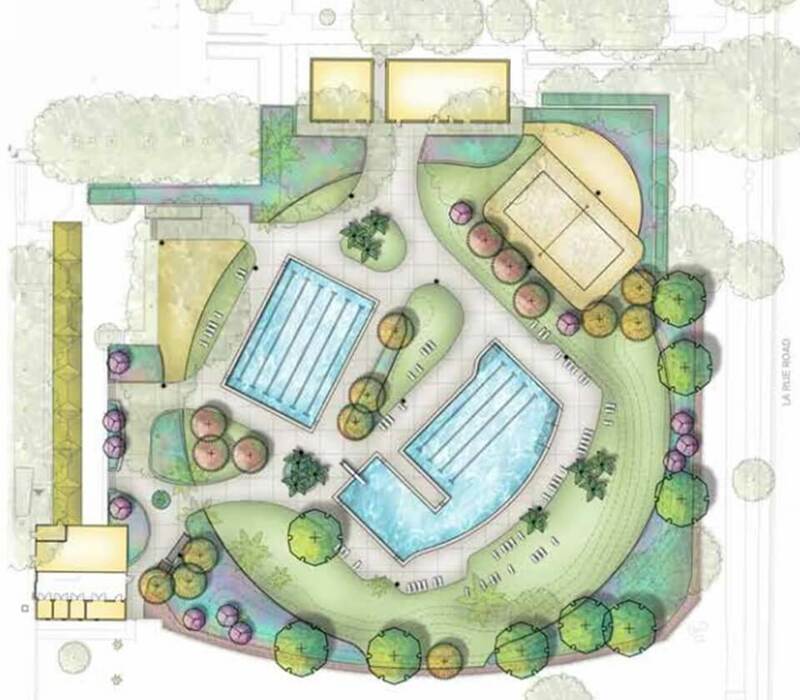 The pool renovation includes demolition and removal of the existing pool and pool deck, construction of two (2) new pools totaling about 9,000 sf, new pool decks, a sand volleyball pit, all new landscaping, and a new sun shade canopy. In addition, a new exterior entrance passageway will be created for the Bath House, allowing for a unique view into the complex. Locker/bathing facilities are given more individual privacy while meeting all required code and accessibility upgrades. Materials will be more durable in wet/moist conditions and still maintain a clean, spa-like aesthetic. The lifeguard office will have an expansive view of the complex and maintain a more inviting feeling. A full-length trellis, locker room entrances, outdoor lockers and outdoor showers will be featured against a color-accented tile wall.